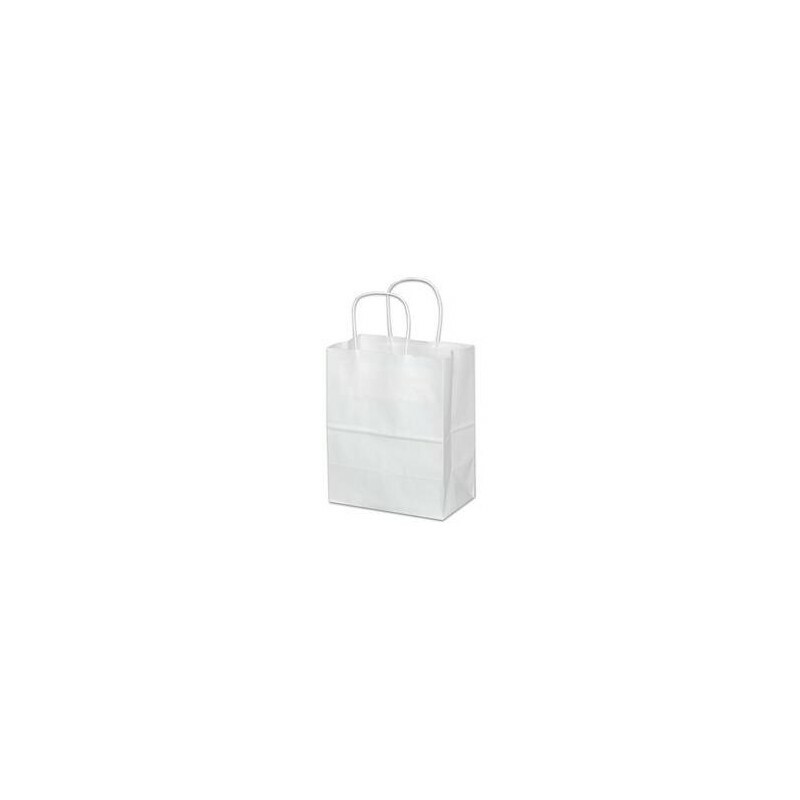 Tempo White Paper Shopping Bag w/Twist Handle - Metro Supply & Equipment Co.
Dimensions 8" x 4 1/2" x 10 1/4" 250 bags per bundle. 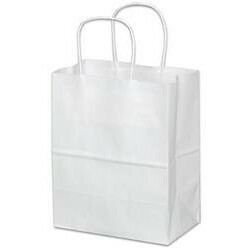 Quickly package multiple purchases in these heavy duty bags. 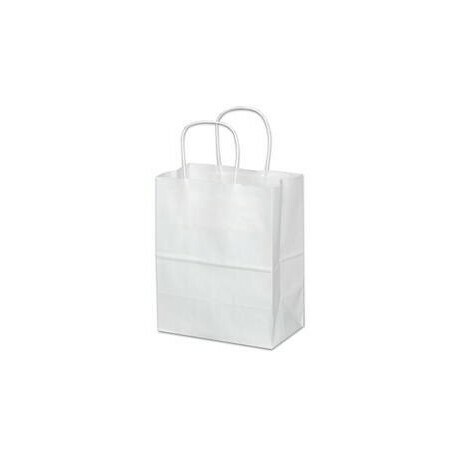 Square bottom bags stand alone for convenient packaging. Strong twisted paper handles make purchases easy to carry. Durable bags can be used again and again. Bags are 60-65 lbs. Dimensions are listed width x depth x height. Special Order item: Allow 3 weeks lead time for shipping.